Animal Matters is dedicated to educating the public about the use and abuse of animals through the content on this website. We do not have a facility for homeless pets. 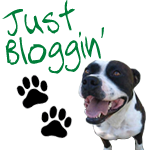 Instead, we use this site to promote animals in our community who need loving homes. We hope you find us a valuable resource for animal-related issues. Remember, your pet is a lifetime commitment. It’s your responsibility to make it work. If you’re looking to adopt an animal in need (thank you), please visit www.petfinder.com and/or www.adoptapet.com. Animal Matters is a 501(c)3 nonprofit organization. All donations are tax deductible. Thank you. We started off the new year by trapping these two cats. Aren’t they beautiful? If you feed then TNR them. One becomes 5, becomes 10…We can help you by lending traps and providing you help. It is a team effort. This is our favorite story of 2018! Remember Luna, the mamma that had five kittens that Stacy fostered and Buster the tuxedo attacked by another animal? Well Stacy and Alan took them both in and they are now best friends. These two purr babies fell down a storm drain and miraculously found their way out. Thanks to a team effort they were trapped then vetted and socialized. They were sent up north Thanksgiving weekend thanks to Darbster foundation that transports kittens up north to get adopted. This handsome boy was dumped at a park. He was chipped and his owners claimed they surrendered him back to the humane society. 😤He was then adopted for a brief two weeks when his then owner decided they didn’t want to deal with his urinary tract infection. Luckily he had someone else that wanted him and he’s healthy and living his best life. Buster knew the right house to come to. He showed up at Stacy’s House where her husband brought him in. It looks like he was attacked by another animal. He was hurting and could hardly walk. This is what Buster looks like after being on antibiotics for a bone infection. He is now a foster fail and lives with 4 other cats with Stacy and Alan. We were able to trap many cats this year with the help of your donations. Here are a few. No more babies will be born. Mammas will no longer have to search for food and protect their young ones from the dangers of living outside. We rescued Mamma Luna and her 5 babies. One of her babies was dangling from a vine at 3 days old. We are lucky we found her when we did. Luna was such a good mommy. These three Kittens were found on a cold Florida winter day in January 2018 in an office parking lot. Luckily they were rescued and fostered by a loving Coral springs cop (IG account BocaRatona) who bottle fed them. They ended up in New York and live in loving homes now.